Gold mining in Nicaragua, the largest country in Central America, is experiencing a sharp growth thanks to the arrival of foreign companies with the money and knowledge to tap into the nation’s reserves. 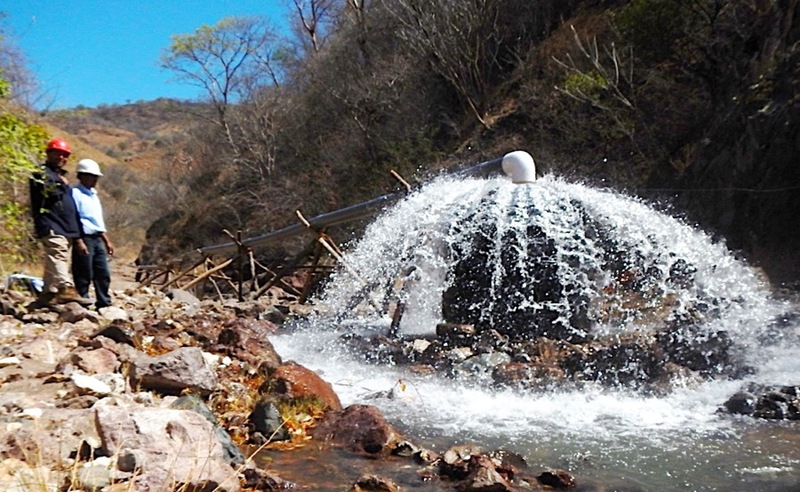 According to a recent study by a local group of business development consultants (COPADES), just by exploiting 0.3% of Nicaragua's land area, the mining sector has been able to double gold production and increase silver output by up to seven times in the last 11 years. Last year, the nation produced over 267,000 ounces of gold, significantly more than the 109,200 ounces it generated in 2006. Last year, the nation produced over 267,000 ounces of gold, significantly more than the 109,200 ounces it generated in 2006. Silver output, in turn, reached almost 682,000 ounces in 2016, compared to only 94,200 ounces in 2005, figures from the Chamber of Mines show. The nation’s overall bullion production is supplemented by small scale artisanal mining of placer and alluvial placer gold, particularly in the regions that form what is known as the “mining triangle”: Siuna, Rosita and Bonanza, where small-scale gold extraction has been the dominant trade since 1880. The medium and large-scale industry, though emerging, has been bringing steady revenue into the nation’s coffers and it’s now one of the driving forces of economic growth in the country. From each dollar generated by metallic mining firms, 0.66 cents remain in Nicaragua in the form of payments for taxes, remuneration and acquisition of local goods and services, the Chamber says. Map courtesy of Oro Verde. The majority of the companies operating in the country, however, are foreign, with Canada, Mexico and the US leading the investments in the sector. Between 1991 and 2015, Nicaragua’s mining industry attracted $918.2 million, 73.1% of which came in the 2011-2016 period. For this year, the sector expects to attract between $125 million to $140 million and lawmakers are fine-tuning details of a bill creating a Nicaraguan Mining Company, which will be able to participate in exploration and exploitation activities carried out by companies who have been granted concessions. 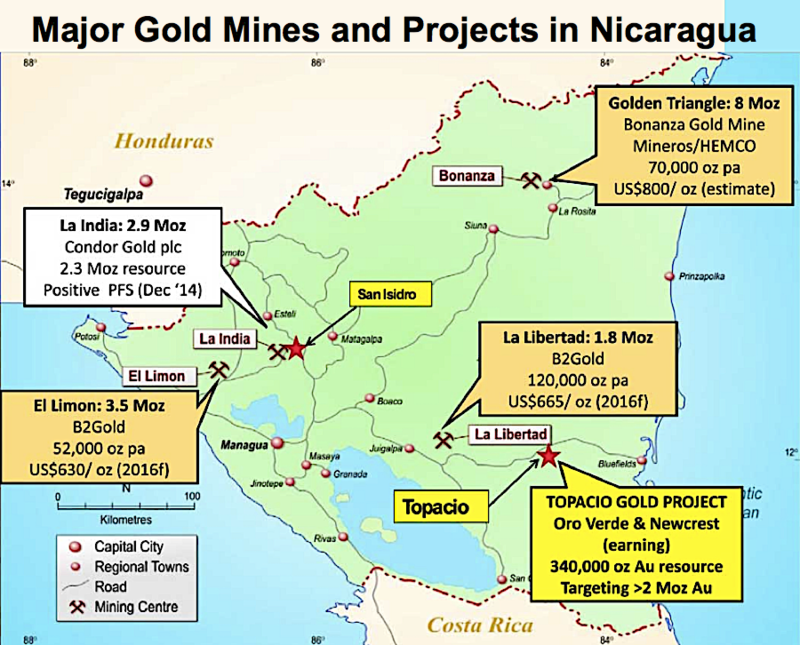 Some of the companies currently present in Nicaragua are Canada’s B2Gold Corp, Australia’s Oro Verde and UK-based Condor Gold.